Skateshoes have been rolling out changes over the past years, with companies constantly redefining their shoes to get on board with what skateboarders want. The main goal of a skateshoe has always been about protection of your feet from the stresses of skateboarding. However, there is now a higher demand for aesthetic and stylish shoe models. This led to more ambitious designs and technologies that mixed up the game. 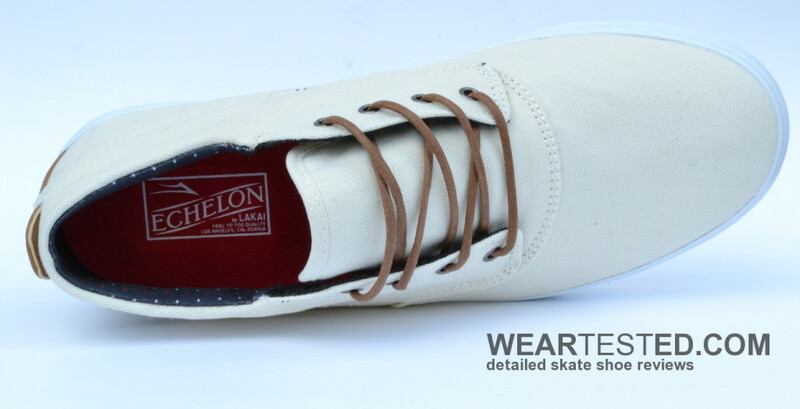 Another factor that caught the companies’ interest is the after-skate shoe. 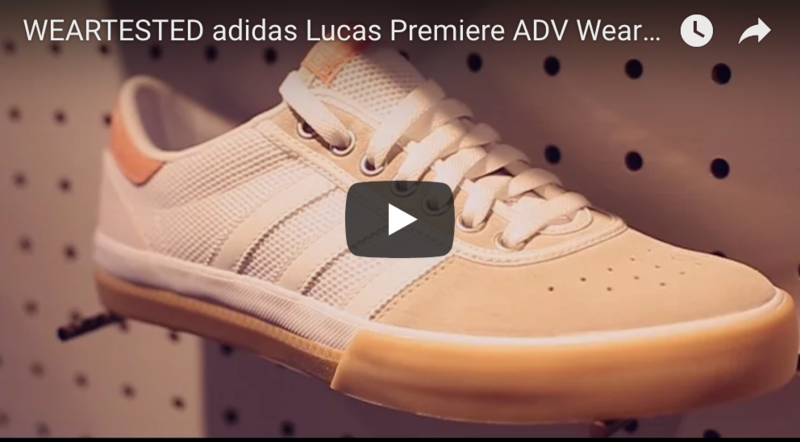 Many people already switch their skate shoes for comfy running shoes after a heated session, so the skateshoe companies have decided to get on board this trend. 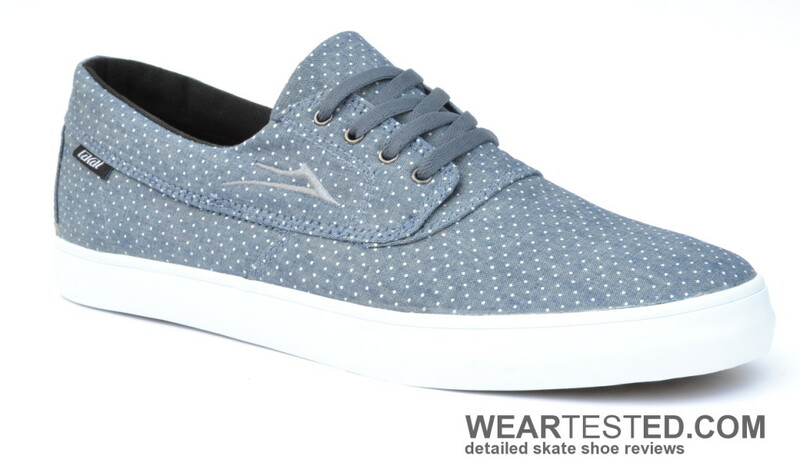 Usually companies focus on running style shoes but Lakai saw a gap in the market and went in another direction and created the Echelon Collection. Not only the shoe designs, but also the materials and color choices are a step into the casual/lifestyle direction. It’s pretty fitting to call the Echelon Line “grown up”, as the subtle branding and design has really matured. Lakai has really put their best foot forward with this collection, so we decided to do the same and give the whole line a checkout. The Camby Mid is our first candidate. 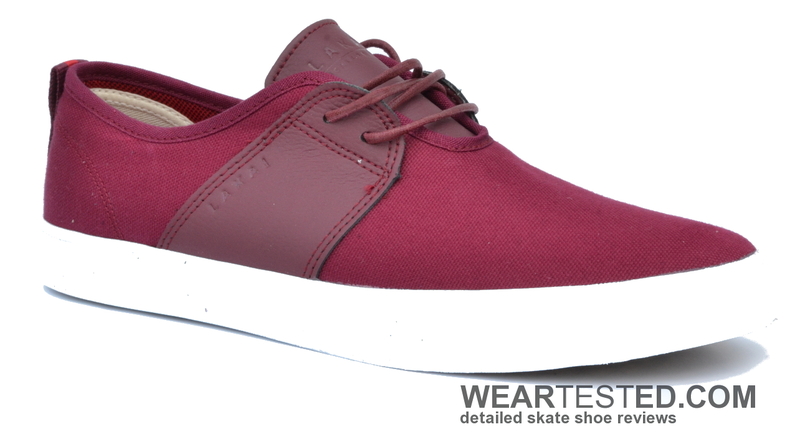 Based on the already known Lakai Camby, the mid top version is a result of a modern facelift. 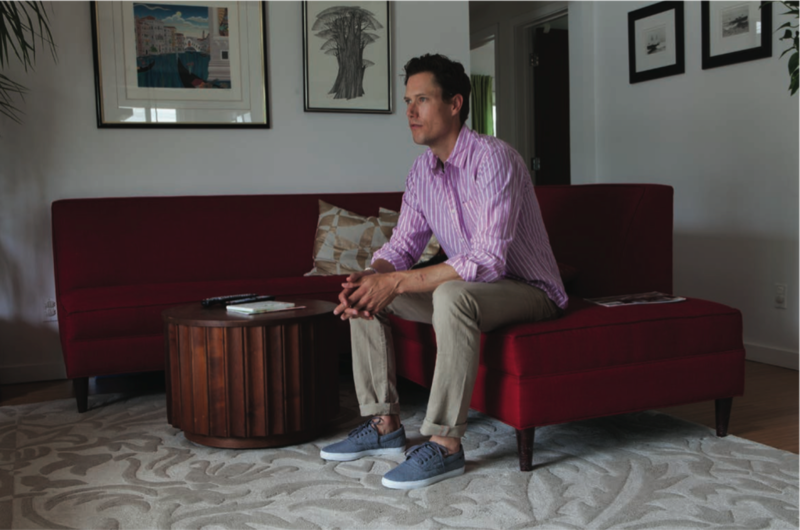 The toe box and ankle-high design give this shoe a classic desert boot flair. 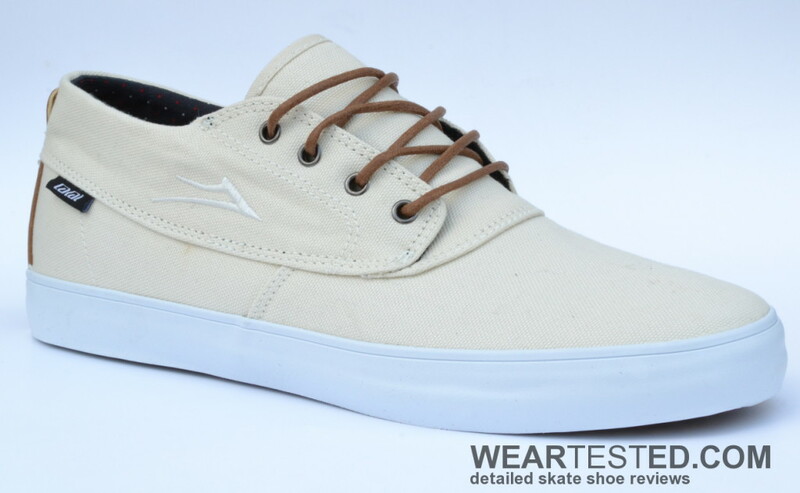 The sole is tried and tested; the much loved vulcanized Lakai Select. This technology fits the shoe perfectly – being simple and comfortable. The Camby Mid still combines simple design with clever details. The heel is reinforced with a leather patch and the inner lining features fine patterned fabric to improve comfort. 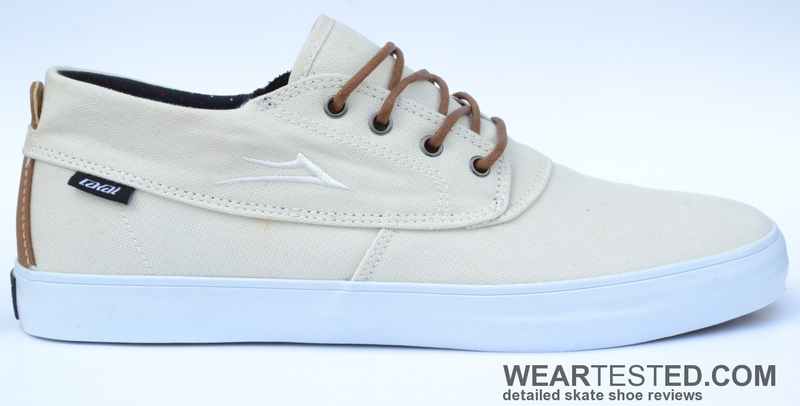 All this leads to the Lakai Camby Mid being a shoe with a classic silhouette and clever design features. The Albany is a completely new family member of the Echelon Line. The shoe features a slim and very low silhouette. The vulcanized sole with a thick foam insole completes the very simplistic approach without compromising comfort. The leather tongue, waxed lace loops and lateral leather patch along with the tonal color ways emphasize the focus on design and comfort. This is also obvious by the lack of major logo placement or branding. The Lakai Camby isn’t the biggest surprise since it has been a part of the line for almost two years. It’s a perfect fit for the Echelon Line nonetheless, not only because its bigger brother, the Camby Mid, is in there as well. A classic nautical inspired design, with its strength being its simple design. The main difference between the Echelon and “regular“ skate model can be found in the material choices. Neither suede nor heavy-duty canvas, but enhanced, very fine canvas is the material of choice. While it might rip pretty quickly when abused by skateboarding, the comfort of this material is outstanding. The sole itself is a little simpler than with the non-Echelon model. Given all these facts, the Lakai Echelon Camby is a perfect fit for those who still crave skate aesthetics off the board combined with simplicity, comfort and style.